Don’t miss out on the fun this weekend in Lewisburg, WV. This Friday and Saturday are sure to offer a good time with friends and family, all while braving the chilly weather and enjoying all offerings of these events. Downtown Lewisburg celebrates a Holiday First Fridays after Five on Friday, December 8th! Join the fun … free horse drawn carriage rides, a Santa visit, artist receptions and tasty treats throughout town …. all free to the public. Everyone is welcome! To start off your evening, bring the family to the downtown Lewisburg Branch of Premier Bank for a visit with Santa Claus from 3pm to 5pm. 1085 Washington Street East, 647-3216. Then, The Shops & Restaurants of Downtown Lewisburg are excited to offer free horse drawn carriage rides from 5pm to 7pm along festive main street, filled with holiday lights & decorations. Catch your ride in front of City Hall and enjoy! Lee Street Studios welcomes West Virginia ceramic artist Sean O’Connell with a show titled “In It Together”, a solo show of new ceramic and mixed media sculpture. Sean lives in Alderson and maintains a working studio at Lee Street Studios. 232 Lee Street North, 681-318-3551. “You’re an Angel” at Harmony Ridge Gallery. Stop by to take a pic of yourself & your friends with the Wings of an Angel! Enjoy complimentary holiday refreshments & wine specials! 886 Washington Street West, 645-4333. The Greenbrier County Convention & Visitors Bureau is partnering with Greenbrier County Schools to present the 5th annual “Sharing the Gift of Our Talents” exhibit. The exhibit, featuring artwork from middle and high school students. Complimenting this year’s art show will be the display and silent auction of select historical school desks that have been transformed into functional and captivating works of art by partnering artists of Lee Street Studios. Proceeds will go to the United Way of Greenbrier Valley’s Project Apple Seed, supporting purchases of classroom supplies and basic student needs items. Please join us as we celebrate the talented students of Greenbrier County Schools and the community that supports art programming in our schools. 905 Washington Street West, 645-1000. WV Fine Artisans presents Rose Dobbins, well known for her portraits in pastel. She will be demonstrating her techniques with oil paint. Rose will be working on a Monroe county scene featuring Sunset View Farm and their llama, “Spooky” (affectionately known as Tony). Please stop in for a complimentary cup of mulled apple cider and chat with an artist or two! 1042 Washington Street East, 667-0320. Wish List Party at Wolf Creek Gallery. Prizes will be drawn throughout the evening. Enjoy their special punch, while making your own holiday list. 967 Washington Street West, 645-5270. Bella’s holiday tradition includes Jeff’s Breads Chocolate Cherry Bread and a sip of the new December wines added to Bella’s Shelf! Talk about an elf on the shelf! 1017 Washington Street East, 520-4921. The Asylum welcomes Iron Lion World starting at 9pm. Check out their new December cocktail list. Make this your final stop on First Friday and enjoy some great tunes! 399 Randolph Street East, 681-318-3515. SATURDAY DECEMBER 8TH: GIRL’S DAY OUT IN LEWISBURG, WV! Go directly to the Girl’s Day Out Facebook Page! A New Chapter: Free handmade French rolling pin or cheese knife to first 24 customers who purchase a cookbook(s) at $30+ and refreshments. Bella The Corner Gourmet: Hot ruby cranberry mimosa tastings! Surprise gift with purchases over $75! The General Lewis Inn: Make Your own signature scent with purchase of an advance $25 ticket Complimentary champagne included. Greenbrier Valley Visitor’s Center: Win a $100 Visa Gift Card and refreshments served. 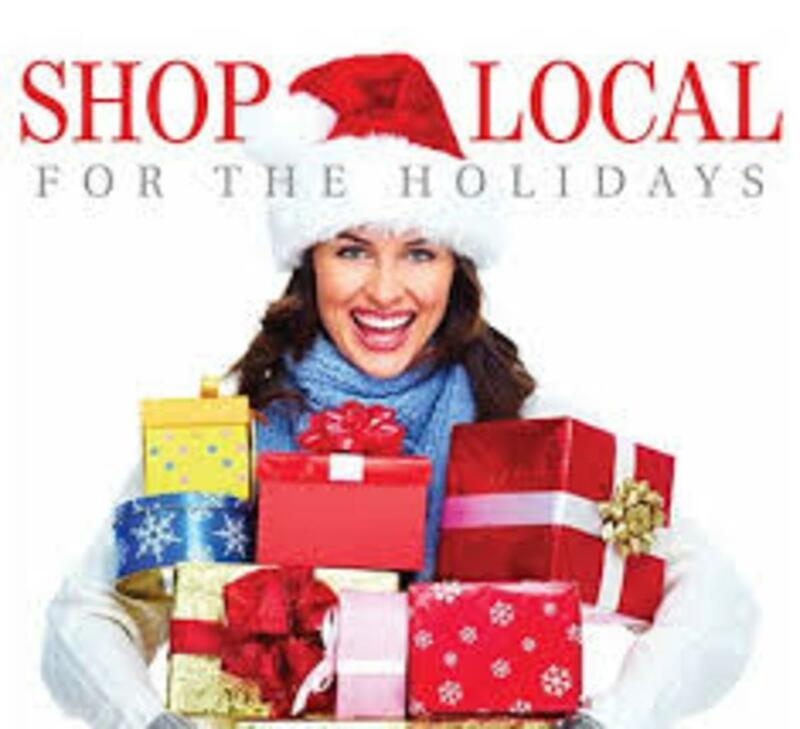 If you win, we encourage you to spend it #LOCAL! Harmony Ridge Gallery: Yes! Complimentary Champagne! A girlfriend photo selfie station with loads of fun accessories! And prizes all day! Plants Etc. : Refreshments, a drawing to win a fire & light recycled glass bowl, and fortune telling! What does your future hold?! WV Fine Artisans: Drawing for a Tote full of Brookstone Soap products and a hand-crafted Fabric Folio. Wine and artisanal cookies. Wolf Creek Gallery: Enjoy famous sparkling punch and delicious treats. The first 20 customers will receive a gift with their purchase! Greenbrier Real Estate Service has a full team of professional REALTORS ready to serve you, if you’re ready to make this place your home- contact us!